I am an ecologist leading programs and organizations in conservation and NRM in a development context (Africa, Arabia). 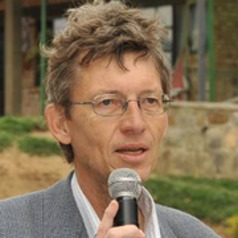 For 30 years I have been employed by governmental- (Rwandan, Dutch, German), non-governmental (IUCN, WWF), UN- and private (consulting) organizations. Although never a professional requirement, the publication of research and experience has given me much insight and satisfaction. I am currently working on forest policy issues and protected area management in Central Africa.